The gospel readings for Advent each year invite us to meditate on the mystery of waiting, and they do it by presenting us with stories of great people who knew how to wait. On the first Sunday, Jesus himself is the model as he taught his followers the spirituality of “waiting in joyful hope”. The passage is clearly in two sections, verses 25 to 28, and verses 34 to 36. You must interpret verses 25 to 28 in the light of your experience, times when your world or the world of your family or other community collapsed. Allow the dramatic language to express this experience, making sure that you recognise the double movement of collapse and rebirth. If you decide to meditate on verses 34 to 36, the key will be to identify concretely the meaning of “that day”, a time like the one in verses 25 to 28. Then you will get a feel for the teaching of Jesus. and hold their heads high because a moment of liberation is near at hand. Lord, at one point in our lives we felt that good times would never end. We lived mindlessly, looking down on others who were less successful or less virtuous. * one of our children got into trouble with the law. for it comes down on every living person on the face of the earth. by over-indulgence and being too much engrossed by the cares of this life. We know that what counts in life is to be able to stand with confidence before the Son of Man. we are exempt from the ups and downs of institutions. just as it comes down on every group on the face of the earth. 1. On this first Sunday of Advent the church’s thoughts are con­centrated not on the coming of the Lord in Palestine two mil­lennia ago, nor upon the new liturgical year, but on the Second Coming at ‘the end of time’. What do we mean by this curious phrase: ‘the end of time’? 2. Approaching this theme in a homily presents three difficul­ties. First, it can easily be heard as apocalypticism. That is, it seems to the hearers that there is a direct link between some breakdown in the world order now (either in the social order, the realm of justice, peace, or some vague threat from a mon­strous other) and God’s action of punishing or letting every­one get what they deserve. In this scenario, everything going wrong is actually a bizarre proof that Christians are right and that the more disastrous things get the more it shows that God is in charge for he has already written the script. An ex­ample of this is the position of many American fundamental­ists on the problems of climate change: no use doing any­thing about it, it is part of God’s plan to punish the world for not being ‘saved’. Such ideas are far from the perspective of most Catholics, but there has been an enormous growth in Catholic apocalypticism since the 1980s and many people in any average congregation will be disposed to hearing today’s gospel, and any talk about the end times, in such millenarian terms. It is significant that the two sections of the discourse that are most explicitly part of the apocalyptic tradition are omitted today: clearly, apocalypticism has no place in Advent preaching. 3. Second, there is a danger that speaking about the end times is not about the consummation of the universe, but a finger­wagging exercise about the religious equivalent of what some cosmologists call the ‘Great Crunch’. Whatever we say about the them end times must be clearly part of God’s plan. Hence it is part of God’s loving plan for the universe and so must be appreciably part of the good news. There has been a curious double think about this: God is love, but if you don’t love, then God holds a stick! Such presentations are necessar­ily false: the coming to completion of the creation, the king­dom, is the completion of God~ s loving plan. It must be pre­sented as analogous to the end of year party, not the end of term exams. 4. Third, there are few areas of our faith where we know less, where our language is more strained, and where our images are less precise. Ironically, the fact that there is so little we can say about the Consummation has actually left a gap which imagination has filled to overflowing, and not always with a profound outcome. 5. Here is a possible approach to the question. The ‘End of the World’ has two meanings. Firstly, there is the very obvious one of the cosmos coming to an end or the whole created order being radically transformed by God. The second meaning of the end of the world is the end of the world I as an individual inhabit: my world will come to an end at my death. In regard to the first meaning we have no information whatsoever within revelation as to when the universe will cease (this is a point worth making as there have been, and still are, many who engage in ‘scriptural mathematics’ using the Book of Daniel and the Apocalypse of John to find out how long more the world has got!). On the second meaning of the end of the world, my death, we are in a different situation: I may not know the day nor the hour (and am glad that I do not know this), but I am certain that I am going to die. Whatever happens in the future of my life, good things or bad things, I know that it will end. That end will be my end time, my es­chaton. 6. Whichever meaning we use, there is a common feature: at The End we must not imagine a giant chasm, but the figure of the Logos who shares a human nature with all approaching him as their priest, prophet, and king. Christ as King stands at the end of time gathering all the fragments of each of our lives, and of the life of the whole cosmos, and refashioning that existence so that nothing is lost. He gathers and refash­ions our life so that as a new creation this existence, my life, can be presented to the Father. 7. The Good News is that the end is not a crunch, but the glorious figure of the Lord. 8. The end is the gathering of all the little pieces of our scattered and fragmented lives, all our joys, all our collaborations with the grace of God, all the goodness we have sought to create, the peace we have fostered, the reconciliation that we have sought, the acts of kindness and mercy, the attempts to wit­ness to the truth in the face of falsehood or injustice. All these scattered actions are gathered into a new existence that the Christ can offer to the Father in the Spirit. the end of a relationship, the end of a film or a moment of en­joyment, the pain that is a common part of the ending of a life. We look forward to the consummation, the completion of the universe; Thus can we read in the gospel: ‘then [we] will see the Son of Man coming in a cloud with power and great glory. Now when these things begin to take place, look up and raise your heads, because your redemption is draw­ing near’ (Lk 21:27-8). This gospel passage is taken from a chapter dealing with both the medium and long term future for believers in which Jesus recognises that although he has come to bring freedom and peace, that does not mean there will be an immediate end to violence and suffering. The language is that of apocalyptic which is a type of writing aimed at encouraging people to believe in God’s ultimate victory, the triumph of good over evil. By the time that Luke’s gospel was written, people were wondering when would Jesus return and how would they know. Here they are reminded that the key thing is not to he able to tell the future but to be faithful to the way of Jesus, especially a prayerful way of reflecting on the times we live in. You might be wondering how are these readings supposed to help us get ready for Christmas? Well, they do this by reminding us that Advent is a time of waiting – a getting ready for the re­turn of Jesus – not just a recalling of the first Christmas but a preparation for the fact that he will come again. So the focus for us at the start of each Advent is the invitation to prayerful taking stock of how ready are we, as individuals and as a church, to re­ceive him however, wherever and whenever he comes to us. The four weeks of Advent are a slow wait: one candle this week, the empty crib. With Mary and Joseph we wait for Christ. The candles light the way for them – and for us, one each week of Advent. Christmas should come quickly – the message of the ads. We could be excused for thinking it is nearly over. The Christmas parties are well under way. Some dinners for the elderly have been held already. The carols have been playing for weeks now. The best waiting, like waiting for birth, is slow. Parents wonder about their child – who will he / she be like? The mother needs support and love; the children look forward to another baby; grandparents wait in pride. Even when the family situation is limited, we wait in joy and hope for the child – like Mary and Joseph, Elizabeth and Zechariah and all the bible parents who waited, often for many years. How is my faith this year from last year? And what would I be asking for? Would I promise anything to help me wait actively for Jesus – Mass more often than Sunday, the Angelus every day, to read the gospel each day, to be kinder and more just, care for the poor and needy at home or away. Let my Advent bring me closer to God and effect for the best the lives of those close to me. If we wait in faith and in hope, then everything, even the carols sung too early and the celebrations too early, can remind us of the God who is coming soon in Jesus Christ, to be born of Mary. Mary, may l wait with you in joy and in patience and in hope. Advent begins at the end -- the promised return of Christ at the end of time. For the faithful disciple, history is a moving forward, a journey to the fulfillment of God’s reign when God’s Christ will return as Lord of all. We therefore live in a permanent state of Advent: watchfulness, preparation and perseverance as we await the return of the Holy One who has already come. In his Gospel, Luke depicts our final judgment very simply: “to stand before the Son of Man.” Luke infers that our “judgment” before Christ will be a moment of illuminating truth, when all artifice will melt away, when our rationalizations will fail us, when we will see our holiness and face our failures. But rather than make us tremble, the prospect of standing before Jesus should fill us with hope: that the “shoot of Jesse” comes to redeem us despite ourselves, that, in him, God loves us in our holiest moments and our most glaring sinfulness. Jesus calls us to pay attention to the “signs” of God’s Advent presence, to “stand erect and raise our heads” to realize God’s presence in our midst. The moments we are given in this experience of life are precious and few. God gives us these days in order that we might come to discover him and know him in the love of others and the goodness of this world in anticipation of the next. Our lives are a continuing Advent in which we make our way to God by creating a road for that journey, a road built of justice, forgiveness and love. Signs: Meteorologists watch a storm form in the middle of the Southern Atlantic. They begin plotting the storm’s course, feeding data into their computers. The computers then develop possible paths the storm may take and the impact it could have in communities along the Eastern Seaboard. Warnings are issued — and people begin to get ready for dangerous storms with disarmingly charming names like Sandy. Signs: Your son or daughter’s mood has changed. Your usually happy child is quiet, sullen, impatient, angry. Typical teenage angst — or is something deeper, more dangerous going on? Signs: At your annual check-up, the doctor sits you down. He’s concerned about the numbers on your chart. He doesn’t mince his words: You’re over forty; you can’t eat like a teenager anymore. Throughout our lives, we encounter “signs”: indicators of realities we do not readily see or understand or appreciate — or would rather ignore altogether. These “signs” urge us to look deeper, to see beyond our selves, to confront issues before they become disasters. On this First Sunday of Advent, Jesus calls us to pay attention to the many “signs” of God’s love in the midst of every trial and challenge we encounter. God’s Spirit of humility and wisdom enables us to realize God’s saving work in the Advent of our lives. These four weeks are a microcosm of the Advent that is the very entirety of our lives as Christians: to make ourselves ready to “stand before the Son of Man” through lives of love, mercy and justice. We ended the liturgical year listening to readings with an apocalyptic description of the end of the world. We begin the new season of Advent with similar apocalyptic warnings. Again the purpose is not to frighten us but to fill us with hope. The prophet Jeremiah starts with the reiteration of the proclamation of the promise of the Lord. "The days are surely coming, says the Lord, when I will fulfill the promise I made to the house of Israel and to the house of Judah." Faith means accepting what God speaks and offers, rather than what human beings like and choose. Hope means trusting and accepting what God promises in Jesus Christ. Hence conversion is integral to responding to the word of God. In its day, the Titanic was the world's largest ship, weighing 46,328 tons and it was considered unsinkable. Yet late during the night of April 14-15, 1912, the unthinkable happened to the unsinkable. Near midnight, the great Titanic struck an iceberg, ripping a three hundred foot hole through five of its sixteen watertight compartments. It sank in two and a half hours killing 1,513 people. Before the Titanic sank, warning after warning had been sent to tell the crew that they were speeding into an ice field, but the messages were ignored. In fact, when a nearby ship sent an urgent warning, the Titanic was talking to Cape Race about the time the chauffeurs were to meet arriving passengers at the dock in New York, and what dinner menus were to be ready. Preoccupied with the trivia, the Titanic responded to the warning, "Shut up. I am talking to Cape Race. You are jamming my signals!" Why did so many die that night? Perhaps the crew disregarded the danger of the weather; there were not enough lifeboats on board; and the radio operator of nearby California was off duty; perhaps those responsible did not heed the warnings, they were preoccupied with other things! -Sometimes we believe that our 'ship' is unsinkable, our life is all well planned, and the unthinkable can never happen to us. We need to read the signs of the time, we need to pay attention to the warning signals. But if we are preoccupied with the trivial things of life we will miss the most important till it is too late. In the Gospel Luke has Jesus using the same apocalyptic language when he speaks of his return in glory. "There will be signs in the heavens and on earth distress and confusion." Those who do not believe will be frightened by these signs and portents. For those who have no faith the signs can only spell doom and destruction, they are seen as the punishment of God. But those who are believers have nothing to fear for these signs, trials and troubles point to the coming of the Lord. He is near. True Christian prayer is the typical Advent invocation, 'Thy Kingdom Come', which is rightly translated as 'Come Lord Jesus Come.' Though the coming of the Lord is as certain as the dawn, yet if we are not ready, if we are not vigilant, we will miss the Lord. "Be on your guard, so that your hearts are not preoccupied with other things. Be alert at all times and pray." The Gospel of Luke, which is characterized by a strong interest in prayer, urges us to pray in the context of the end of history. Advent speaks to us of an order of being an existence that is beyond a natural outlook of life. While the faithless say: "Eat drink and be merry for tomorrow we die", while skeptics affirm: "this is all there is to life". Advent reminds us that this world is not all there is and so we pray for the coming of our Lord Jesus Christ, who will help us to look beyond to the Kingdom, while we wait with joyful hope for its realization here on earth and in the next. There is an old Hasidic tale about Rabbi Naftali. It was the custom of the rich men of his city, whose homes were on the outskirts and sort of isolated, to hire men to watch over their property at night. Late one evening, as was his custom, Rabbi Naftali went out for a walk and met one such watchman walking back and forth. The Rabbi asked, "For whom do you work?" The guard told the rabbi who had hired him and then the guard inquired, "And for whom do you work Rabbi?" The watchman's words struck at the heart of the Rabbi, who replied, "I am not sure whether I work for anyone or not." The rabbi walked along with the watchman for some time in silence. Then he asked, "Will you come and work for me?" "Oh Rabbi, I should be honoured to be your servant," said the watchman, "but what would be my duties?" Rabbi Naftali answered quietly, "To keep reminding me with that question." Like that rabbi, we need help if we are to remember for whom we work and for what we live our lives. Advent helps us to ask that question of ourselves. 'Watch and pray' are the lookouts, they remind us that God is in charge. "In his book 'Man's Search for Meaning', Jewish psychiatrist Viktor Frankl tells the story of how he survived the atrocities of the concentration camp at Auschwitz. Frankl says one of the worst sufferings at Auschwitz was waiting: waiting for the war to end, waiting for an uncertain date of release and waiting for death to end the agony. This waiting caused some prisoners to lose sight of future goals, to let go of their grip on present realities and give up the struggle. This same waiting made others like Frankl accept it as a challenge, as a test to their inner strength and a chance to discover deeper dimensions of freedom." One December day, 16-year-old Gary Schneider and two friends set out on a four-day climb up Mt. Hood. Nine thousand feet up, a blinding storm engulfed the three boys. Soon the snow was drifting over their heads. They tunneled into a snow bank to get out of the driving wind and to wait out the blizzard. Eleven days later the blizzard continued to rage. The boys’ sleeping bags grew wet and lumpy. Their food supply dwindled to a daily ration of two spoonfuls of pancake batter apiece. Their sole comfort was a small Bible one of the boys had packed in his gear. The boys took turns reading it, eight hours a day. It was an eerie scene: three teenage boys propped up on elbows in sleeping bags in a five-foot square cave of snow. The only light was a spooky, reflected light coming from the cave's tiny opening. There the three boys remained huddled hour after hour, day after day, listening to the word of God against a background of howling wind. If rescue came it would have to come from God. Waiting like this was not easy. All the boys could do was pray, hoping the blizzard would blow itself out and help would come. Finally, on the 16th day the weather cleared and the boys crawled out of their snow cave. They were weak from the ordeal and could manage only a few steps at a time. Later that day they caught sight of a rescue party. Their long ordeal of waiting had finally ended. It is a fact that we do not wait very well. A story is told of a photographer taking a picture. He says to the woman, "Smile pretty for the camera." A moment later, "OK, madam, you can resume your usual face." Whether you and I will have a successful Advent these next four weeks will depend on the attitude or the face we bring to it today. We must stay awake and watch, as Jesus advises us in today's Gospel. If affirmative, this first week in a fresh Liturgical year might quite literally alter our lives. The truth is all of us are waiting. Especially, during Advent we are waiting in two ways! 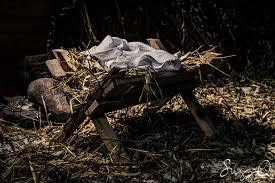 First, as our ancestors did, we are waiting for Jesus' birth. Secondly, as the early Church did, we continue the waiting for Jesus' second coming. During this period of waiting we are called to be vigilant. A drunkard was staggering down the street with blisters on both ears. "What caused those blisters on both ears?" asked a friend. "My wife left her hot iron near the phone; so when the phone rang, I picked up the iron by mistake," explained the drunkard. "Okay, but how about the other ear?" continued the friend. "That fool phoned a second time!" A young lady was walking through the park, when she became conscious of footsteps behind her. She hastened her step, only to become aware that the person behind had begun to walk faster also. Obviously, she was quite worried, and decided to face the situation head-on. She turned around to discover a young man walking briskly behind her. She asked him if he were following her, and if so, why? The young man was embarrassed, as he began to explain why he was doing what he was. He told her that he had noticed her pass this way every day, that he had become infatuated by her, and that he just wanted to meet her. The woman remained silent, while the young man poured out his heart about how much he loved her. Retaining her composure, the young woman said, "My sister is much prettier than I am, and she is coming up there behind you." The young man turned quickly, only to discover that there was no one coming. "You are only making a fool of me" he said. "There is no one coming behind me." The young woman replied very calmly "Yet you looked around! If you loved me as you said you did, you would not have looked around to see my younger sister!" 1) A. J. Gordon was the great Baptist pastor of the Clarendon Church in Boston, Massachusetts. One day he met a young boy in front of the sanctuary carrying a rusty cage in which several birds fluttered nervously. Gordon inquired, "Son, where did you get those birds?" The boy replied, "I trapped them out in the field." "What are you going to do with them?" "I'm going to play with them, and then I guess I'll just feed them to an old cat we have at home." When Gordon offered to buy them, the lad exclaimed, "Mister, you don't want them, they're just little old wild birds and can't sing very well." Gordon replied, "I'll give you $2 for the cage and the birds." "Okay, it's a deal, but you're making a bad bargain." The exchange was made and the boy went away whistling, happy with his shiny coins. Gordon walked around to the back of the church property, opened the door of the small wire coop, and let the struggling creatures soar into the blue. The next Sunday he took the empty cage into the pulpit and used it to illustrate his sermon about Christ's coming to seek and to save the lost -- paying for them with His own precious blood. "That boy told me the birds were not songsters," said Gordon, "but when I released them and they winged their way heavenward, it seemed to me they were singing, 'Redeemed, redeemed, redeemed!'" 2) Jesus came to save humans from being rat packs feeding on each other instead of sheep feeding with each other. This was never made so clear than in the recent "Black Friday" images of people stomping on each other and fighting it out, all done to the musical background of Christmas music. Our sentimental - yet always cynical - culture likes to start singing Christmas carols the moment Thanksgiving turkeys come out of the oven. But listen carefully: You're hearing a lot more choruses of "Jingle Bells" and "We Wish You A Merry Christmas" than carols like "Hark the Herald Angels Sing" or "O Little Town of Bethlehem." The world wants, the world needs, to celebrate Christmas. But the world does its best to keep Jesus out of it. Perhaps the first "Christmas carol" Christians should sing, in keeping with the theme of "Advent," is the Willie Nelson special "On the Road Again." As stores keep having cut-rate sales and on-line deals; and as holiday partying, parades, and posturing swamp every level of our lives: it is good to stand back and look at the bigger picture. What is the purpose for which Jesus came into this world in the first place? Our text concludes with the counsel, "When these things come to pass, stand up and lift up your heads, for your redemption is drawing near." That's been the experience of Christians for all these years. Whether they are in exodus, or in exile, we are not alone. Our four year old grandson has provided me a wonderful illustration of this. His mother was going to go away for a couple of days. The night before she left, as she was in the two boys' room to hear their prayers, she told them she was going to go away, and asked if in their prayers they would like to ask God to protect her on her journey. Jesse, the six year old, thought not. But Luke, the four year old, prayed this prayer: "Dear God, if buffaloes or bears, or other mean animals, come near mommy, can you handle it? If you can't, just call on Jesus." Luke attends a Nazarene preschool. I suspect that is where he got he got that accent. But the words are universally Christian. There is a new covenant now, a new promise, since Christmas, that he will be with us, "Lo, I am with you always till the end of the age." That's our hope. There is a way of living with that hope. It is found in two words that are always associated with Advent: wait, and watch. Mark Trotter, Collected Sermons, CSS Publishing Company, Inc.
As some of you know, Fiorello LaGuardia was mayor of New York during the Depression, and he was quite a character. He would ride the city fire trucks, take entire orphanages to baseball games and whenever the city newspapers went on strike, he would get on the radio and read the Sunday "funnies" to the children. That's how it will be with God's world. Just when it seems that all hope is lost, and goodness and mercy shall never win, the Great Judge will come to set things right, deciding for the hungry and the meek of the earth. Yes, there is also an Advent promise for the nations of the world in perplexity and distress: "Look up and raise your heads, because your redemption is drawing near." 5) When Everything Becomes "Merely"
Virginia Owens in her book, And The Trees Clap Their Hands, suggests that we lose the wonder of it all, because along the way everything becomes "merely." Things are "merely" stars, sunset, rain, flowers, and mountains. Their connection with God's creation is lost. During this Advent season many things are just "merely." It becomes "merely" Bethlehem, a stable, a birth -- we have no feeling of wonder or mystery. That is what familiarity can do to us over the years. Owens goes on to say that it is this "merely" quality of things that leads to crime. It is "merely" a thing -- I'll take it. It is "merely" an object -- I'll destroy it. It is this "merely" quality of things and life that leads to war. We shall lose "merely" a few thousand men, but it will be worth it. Within the Advent narrative nothing is "merely." Things are not "merely" things, but are part of God's grand design. Common things, such as motherhood, a birth, a child, now have new meaning. This is not "merely" the world, but a world that is charged with the beauty and grandeur of God's design. It is a world so loved by God that God gave his only Son. What is so great about the Advent season is that everything appears charged with the beauty and grandeur of God. John A. Stroman, God's Downward Mobility, CSS Publishing. Neill Hamilton, who taught at Drew University for many years, once observed how people in our time lose hope for the future. It happens whenever we let our culture call the shots on how the world is going to end. At this stage of technological advancement, the only way the culture can make sense of the future is through the picture of everything blowing up in a nuclear holocaust. The world cannot know what we know, that everything has changed in the death and resurrection of Jesus, that the same Christ is coming to judge the world and give birth to a new creation. And so, people lose hope. As Hamilton puts it: This substitution of an image of nuclear holocaust for the coming of Christ is a parable of what happens to Christians when they cease to believe in their own eschatological heritage. The culture supplies its own images for the end when we default by ceasing to believe in biblical images of God's triumph at the end. The good news of the gospel is this: when all is said and done, God is going to win. William G. Carter, No Box Seats in the Kingdom, CSS Publishing. In the Peanuts comic strip, Linus and Lucy are standing at the window looking out at the rain falling. Lucy says to Linus, "Boy, look at it rain...What if it floods the earth?" Linus, the resident biblical scholar for the Peanuts, answers, "It will never do that...in the ninth chapter of Genesis, God promised Noah that would never happen again, and the sign of the promise is the rainbow." With a smile on her face, Lucy replies, "Linus, you've taken a great load off my mind." To which Linus responds, "Sound theology has a way of doing that." During his 1960 presidential campaign, John F. Kennedy often closed his speeches with the story of Colonel Davenport, the Speaker of the Connecticut House of Representatives: On May 19th, 1780 the sky of Hartford darkened ominously, and some of the representatives, glancing out the windows, feared the end was at hand. Quelling a clamor for immediate adjournment, Davenport rose and said, "The Day of Judgment is either approaching or it is not. If it is not, there is no cause for adjournment. If it is, I choose to be found doing my duty. Therefore, I wish that candles be brought." Rather than fearing what is to come, we are to be faithful till Christ returns. Instead of fearing the dark, we're to be lights as we watch and wait. Maybe you've heard the story of the little boy who decided to write a letter to God one Christmas. He started out by writing: "Dear God, I've been a really good boy this year." Unfortunately, he remembered that God was all knowing and all seeing and he decided that he couldn't lie to God. So, he crumpled up that letter and started over. This time he wrote: "Dear God, I know I haven't done everything I should have, but I really tried to be good." He stopped and crumpled up that letter, too. It was obvious that he was struggling with what to write to God. As he sat there thinking he looked up and saw his mother's favorite piece of sculpture on the mantel. It was a beautiful rendition of the Madonna, the mother of Christ. The boy perked up and ran out of the room. He came back with a towel and a shoebox. He walked over, carefully picked up the Madonna, gently wrapped it in the towel, carefully put it in the shoebox and then hid it in the closet. He immediately went back to the table and wrote: "Dear God, if you ever want to see your mother again . . ."
It's time the Church took back Christmas. And we do. Every year we take it back and bring back the meaning and the purpose. The world tries to hold it for ransom each year, with its multiplicity of gadgets and this year's list of must have toys; the world tries to make demands and hold Christmas for ransom but it never works. The birth of the Christ child is just too powerful, even for Wall Street. The sight and the sounds and the remembrance of this child born so long ago changes all the rules. His very presence makes the glitter of our Christmas presents pale in comparison. There is a beautiful anecdote given by Msgr. Arthur Tonne clarifying the message of today’s gospel. Several years ago a bus driver in Oklahoma reached an unusual record. In 23 years he had driven a bus over 900,000 miles without a single accident. When asked how he had done it, he gave this simple answer: “Watch the road.” In today’s gospel Jesus gives the same advice in several ways: “Be vigilant at all times,” “Stand erect,” “Raise your heads,” “Beware that your hearts do not become drowsy.” This is not only a good spiritual advice for the Advent season but also a safe rule for daily life. A good football player or basketball player should always concentrate his attention on the ball and the players. A good student must be alert, awake and attentive, watching the teacher and listening to his or her words. A good Catholic in the Church must be physically and mentally alert, watching the altar and actively participating in the prayers and songs. Like the Roman god Janus, who had two faces, one looking at the past year and the other looking into future, Christians during the Advent season are to look at the past event of the first coming of Jesus into the world and expectantly look forward to his second coming in glory. Be faithful. Remember Albert Einstein’s words after the Second World War: “As a lover of freedom, when the revolution came in Germany, I looked to the universities to defend it, knowing that they had always boasted of their devotion to the cause of truth; but no, the universities were immediately silenced. Then I looked to the great editors of the newspapers, whose flaming editorials in days gone by had proclaimed their love of freedom; but they, like the universities were silenced in a few short weeks. Only the Church stood squarely across the path of Hitler’s campaign for suppressing truth. I never had any special interest in the Church before, but now I feel a great affection and admiration for it, because the Church alone has had the courage to stand for intellectual truth, and moral freedom. I am forced to confess that what I once despised, now I praise unreservedly.” We are Christ’s body in the world today. Be patient. Be faithful. It is the message of today’s gospel and Advent. 12) Who came up with this? A woman was in the mall doing her Christmas shopping. She was tired of walking through every aisle of every store to find just the right present. She was stressed out by the mounting debt on her credit card. She was tired of fighting the crowds and standing in lines for the registers. Her hands were full and when the elevator door opened, it was full. “Great!” she muttered and the occupants of the elevator, feeling her pain, graciously tightened ranks to allow a small space for her and her load. "Merry Christmas to our Christian friends. Happy Hanukkah to our Jewish friends. And to our atheist friends, good luck. Typical of last-minute Christmas shoppers, a mother was running furiously from store to store. Suddenly she became aware that the pudgy little hand of her three-year-old son was no longer clutched in hers. In panic she retraced her steps and found him standing with his little nose pressed flat against a frosty window. He was gazing at a manger scene. Hearing his mother’s near hysterical call, he turned and shouted with innocent glee: "Look Mommy! It’s Jesus - Baby Jesus in the hay!” With obvious indifference to his joy and wonder, she impatiently jerked him away saying, "We don’t have time for that!" #1: Missing the signal! In its day, the Titanic was the world’s largest ship, weighing 46,328 tons, and it was considered unsinkable. Yet, late during the night of April 14-15, 1912, the unthinkable happened to the unsinkable. Near midnight, the great Titanic struck an iceberg, ripping a three-hundred-foot hole through five of its sixteen watertight compartments. It sank in two and a half hours killing 1,513 people. Before the Titanic sank, warning after warning had been sent to tell the crew that they were speeding into an ice field, but the messages were ignored. In fact, when a nearby ship sent an urgent warning, the Titanic was talking to Cape Race about the time the chauffeurs were to meet arriving passengers at the dock in New York, and what dinner menus were to be ready. Preoccupied with the trivia, the Titanic responded to the warning, “Shut up. I am talking to Cape Race. You are jamming my signals!” Why did so many die that night? Perhaps the crew disregarded the danger of the weather; there were not enough lifeboats on board; and the radio operator of nearby California was off duty; perhaps those responsible did not heed the warnings; they were preoccupied with other things! -Sometimes we believe that our ‘ship’ is unsinkable, our life is all well planned, and the unthinkable can never happen to us. We need to read the signs of the times, we need to pay attention to the warning signals. But if we are preoccupied with the trivial things of life we will miss the most important things till it is too late. The First Sunday of Advent gives us the warning to be watchful, waiting and prepared. # 2: “Watch the road.” There is a beautiful anecdote given by Msgr. Arthur Tonne clarifying the message of today’s Gospel. Several years ago a bus driver in Oklahoma reached an unusual record. In 23 years he had driven a bus over 900,000 miles without a single accident. When asked how he had done it, he gave this simple answer: “Watch the road.” In today’s Gospel Jesus gives the same advice in several ways: “Be vigilant at all times,” “Stand erect,” “Raise your heads,” “Beware that your hearts do not become drowsy.” This is not only a good spiritual advice for the Advent season but also a safe rule for daily life. A good football player or basketball player should always concentrate his attention on the ball and the players. A good student must be alert, awake and attentive, watching the teacher and listening to his or her words. A good Catholic in the Church must be physically and mentally alert, watching the altar and actively participating in the prayers and songs. Like the Roman god Janus, who had two faces, one looking at the past year and the other looking into future, Christians during the Advent season are to look at the past event of the first coming of Jesus into the world and expectantly look forward to his second coming in glory. 1) Waiting is no fun: A man was in a restaurant. A waiter was passing by. “Excuse me,” said the man, “but how long have you been working here?” “About a year,” replied the waiter. The man said wearily, “In that case it couldn’t have been you that took my order.” Advent season reminds us that we celebrate the first coming of Jesus and we keep waiting for his second coming in glory. 2) Would we keep arranging deckchairs on a sinking ship? On the night of April 15, 1912, the Titanic hit an iceberg in the North Atlantic and sank. Over 1,500 people lost their lives in one of the worst sea disasters in history. A few years ago a magazine recalled the great disaster and asked its readers this shocking –almost blasphemous question: “If we’d been on the Titanic when it sank, would we have arranged the deckchairs?” At first we say to ourselves, “What a ridiculous question! No one in his right mind would ignore wailing sirens on a sinking ship and rearrange its deck chairs! No one with an ounce of sanity would ignore the shouts of drowning people and keep arranging deck chairs!” But as we continue to read the magazine, we see the reason for the strange question. And suddenly we ask ourselves, “Are we perhaps, rearranging the deckchairs on a sinking ship? For example, are we so caught up with material things in life that we are giving a back seat to spiritual things? Are we so busy making a living that we are forgetting the purpose of life? Are we so taken up with life that we are forgetting why God gave us life?” (Mark Link in Sunday Liturgies). 4) “No, I am not going to kick him off.” I like John Cooper, football coach for The Ohio State University team, for many reasons, but especially for this one. As he was being interviewed once about a player who was in trouble with the law, a reporter asked if Cooper was going to kick the player off the team. He said, “No, I am not going to kick him off, because if I kick him off I can’t help him. We are in the business of helping young people grow up, and you can’t do that by turning them away when they make a mistake.” That is good news for those growing up, and that attitude is especially good news at Advent. 5) The city had reached 284th Street far exceeding their expectations! Be prepared for Christ’s coming. Be prepared if Jesus should come today; be prepared if Jesus should tarry another thousand years or more. Be prepared at any cost, for we simply do not know what tomorrow may bring. Nothing is more unpredictable than the future. If there is one lesson from history, it is that. I read recently that when the city fathers of the grand metropolis New York City planned for the future growth of their city, they laid out the streets and numbered them from the center outward. When they began, there were only six or seven streets. In their planning maps, they projected how large they thought the city might grow. Reaching beyond their wildest imagination, they drew streets on the map all the way out to 19th Street. They called it “Boundary Street” because they were sure that’s as large as New York City would become. At last count, the city had reached 284th Street far exceeding their expectations! (Rev. Adrian Dieleman, http://www.trinitycrc.org/sermons/eph3v20-21.html) Be careful when you try to predict the future. Today’s experts turn out sometimes to be tomorrow’s fools. 6) False messiahs: “The Holy Spirit Association for the Unification of World Christianity” is a religious movement founded in South Korea in 1954 by the late Sun Myung Moon. It is more commonly known as the Unification Church. Since its inception, the Church has expanded to most nations of the world, with an uncertain number of members. But we don’t see many signs nowadays of the Moonies. Their founder Rev. Moon and his Unification Church have faded into the background. At one time he boasted considerable political support. He invested heavily in the elections of Richard Nixon and Ronald Reagan. Rev. Moon built an empire by putting young people out on the streets selling flowers. Moon preached that a new messiah was soon to come. This new messiah was already on earth. He was a man born in Korea in the 20th century. Wonder who he could be? Surely not Moon himself! In today’s Gospel, Jesus gives us the warning that false messiahs will be forever with us. 7) Jesus’ admonition is to be faithful. Some of you remember the ancient epic poem by Homer called the Odyssey. It is the story of Odysseus who traveled the world pursuing many adventures. Meanwhile back home his beautiful wife Penelope was being pursued by various suitors trying to take advantage of Odysseus’ twenty-year absence. In order to keep these suitors at bay, Penelope announced that when she finished weaving a shroud for her father-in-law, she would choose among these persistent suitors. There was something these suitors did not know, however. Each night Penelope undid the stitches that she put in during the daytime, and so she remained faithful to Odysseus until he returned. That is our call to be faithful. While we wait for Christ’s return, we are his Body in the world, called to do his work. The Church has been serving the world in Christ’s Name for some two thousand years. Now is not the time to let up. 9)”It said, ‘Go drink a beer.’” Humorist Lewis Grizzard writes about a man in his hometown named Luther Gilroy. Luther claimed he was out ploughing his field and saw a sign in the sky that said THE END IS NEAR. So Luther let his mule and his cow out of their pens, gave all his chickens away, and climbed on top of his house to await the end. When it didn’t come, he pouted and refused to come down off the roof. Finally, his wife called the deputy sheriff, who came over and said, “Luther, you idiot, I saw that same sign. It didn’t say, ‘The end is near.’ It said, ‘Go drink a beer.’ Now come down off that roof before you fall off and break your neck.” [Lewis Grizzard, Chili Dawgs Always Bark at Night (New York: Villard Books, 1989), p. 52.] From Jesus’ day to the present, people have speculated about when the world would end. Over the centuries, people have made calculations and predictions, sold or given away all their belongings, and gathered at appointed places to wait for the end of the world and for Jesus to return. Obviously, the world has not yet come to an end, and Jesus has not returned. Still, we wait. We look around at the world in which we live, a world filled with violence and crime and racial tension. We read about child abuse, spouse abuse, drug and alcohol abuse, and we say, “Things just can’t keep on going the way they’re going.” Times of uncertainty and crisis trigger thoughts about the end of time. And people always want to know when. 12) Are we coming or going? A man was running down the pier, heading for the ferryboat, afraid he was not going to make it. Here was a man of some status, a man who was concerned about his dignity. He wore a pin-striped suit, carried a black umbrella in one hand and a black bowler hat in the other, with which he was waving at the ferry boat, and yelling at the boat to stop so that he could get on it. He ran all the way to the end of the pier, furiously jumped and landed safely on the deck of the boat. Very proud of himself, he straightened his tie, and recovered his dignity. It was then that he discovered that the boat was not going out; it was coming in. Today is the first Sunday of Advent, and there is that kind of confusion about Advent and Christmas. Are we coming or going? Christmas is the celebration that Christ has come; Advent is the celebration that Christ is coming. Advent is preparation for Christmas. 13) Smile please: A story is told of the photographer taking a picture. He says to the woman, “Smile pretty for the camera.” A moment later, “OK, madam, you can resume your usual face.” Whether you and I will have a successful Advent these next four weeks will depend on the attitude or “face” we bring to it today. We must stay awake, as Jesus advises us in this Gospel and practice self-control. The Greek philosopher, Plato, who lived out his life several centuries before Christ, wrote, “The greatest victory in the world is the victory of self-conquest.” (Fr. James Gilhooley). 15) Watch and Prepare: In the Royal Air Force Museum in Hendon, England, there is an exhibition of the memorabilia of Lord Dowding. He was appointed Commander-in-Chief of the RAF in 1936 to take on the challenge of expanding the RAF’s fighting force to meet the Nazi threat. Dowding had less than four years to prepare the RAF for the epic Battle of Britain, while at the same time helping France as much as possible. Lord Dowding’s accomplishment in getting the RAF ready is summed up on a plaque: “It has been given to few men so to employ so short a time that by their efforts they saved a civilization.” Lord Dowding’s vigilance and preparation while waiting for the Nazi attempt to invade Great Britain played a key role in England’s victory in the early 1940’s (Albert Cylwicki in His Word Resounds). Vigilance and preparation while waiting are part of the theme of today’s Advent Gospel. 16) Promise of Things to Come! It was about mid-November of 1979 in Dublin. One morning we woke to find that overnight a layer of fine dust had fallen. It was very noticeable. It covered cars, windows, clotheslines….. In some areas it was heavier than others. One man went out to look for his blue car, but so thick was the dust that he had difficulty finding it. The dust caused quite a sensation. People reacted immediately. What was it and where did it come from? Many were worried, fearing that it was caused by a fall-out of dangerous chemicals or radio-active materials. There was a deluge of phone calls to the police, to weather centers, and motoring organizations. Finally the explanation came: it was sand from the Sahara Desert! This came as a great relief. It was still a nuisance but was readily accepted because the Southerly winds that had brought it, also heralded the warmest November in fifteen years. In today’s Gospel, after foretelling the endtime events we get such an assurance of his “second coming” from Jesus (Flor McCarthy, in Sunday and Holy Day Liturgies). 17) The Watchman: There is an old Hasidic tale about Rabbi Naftali. It was the custom of the rich men of his city, whose homes were on the outskirts and sort of isolated, to hire men to watch over their property at night. Late one evening, as was his custom, Rabbi Naftali went out for a walk and met one such watchman walking back and forth. The Rabbi asked, “For whom do you work?” The guard told the rabbi who had hired him, and then the guard inquired, “And for whom do you work Rabbi?” The watchman’s words struck at the heart of the rabbi, who replied, “I am not sure whether I work for anyone or not.” The rabbi walked along with the watchman for some time in silence. Then he asked, “Will you come and work for me?” “Oh Rabbi, I should be honoured to be your servant,” said the watchman, “but what would be my duties?” Rabbi Naftali answered quietly, “To keep reminding me with that question.” Like that rabbi, we need help if we are to remember for Whom we work and for what we live our lives. Advent helps us to ask that question of ourselves. “Watch and pray” are the watchwords, they remind us that God is in charge. (Anonymous; quoted by Fr. Botelho). 18) Advent waiting: A blind man and I were standing in the middle of a throng of travelers at Port Mores by airport. “You just stand here.” I told him. I wanted to spare him the disturbance of being jostled about, so I left him in a protected corner. I then went my way to buy a ticket, post a letter, and check on the plane arrivals and departures. At one stage I turned around and looked back at him. He just stood there. People milled around him. A child stared at him. A porter drove his baggage cart around him. A newspaper boy could not understand why he did not even look at the paper. The blind man just stood there. The shuffling feet around him, the unknown voices and all the various noises of humans going and coming had no meaning for him. He just stood and waited for me to come back. He patiently waited, completely content that I would come back. There was no shadow of doubt on his face. Instead, there was an air of expectation about him: I would return and take him by the hand and we would go on. That look of the blind man with closed eyelids standing there put in mind the Advent face of a Christian. (Willi Hoffsuemmer; quoted by Fr. Botelho). 19) O Henry’s story the “Last Leaf” brings out the significance of hope. The story begins as Johnsy, near death from pneumonia, lies in bed waiting for the last leaf of an ivy vine on the brick wall she spies through her window to fall. She counted the falling of all leaves. Now only the last one is left. She is sure that she will die as the last leaf falls. The night witnessed torrential rain and powerful storm. In the morning Johnsy looked out of the window before breathing her last. But to her surprise she saw that the last leaf had survived the rain and wind. It stuck to the vine. She began to show signs of improvement, and recovered in a few days. An artist who lived below her apartment understood the thought of Johnsy. That night he had gone out with his set of brush and paint. The last leaf was the creation of Behrman. Outside Johnsy’s window were a ladder, a lantern still lighted “some scattered brushes, and a palette with green and yellow colors mixed on it . . . it was Behrman’s masterpiece–he painted it [a leaf] there the night that the last leaf fell.” The sight of the last leaf rekindled the hope of Johnsy. And she survived. At the end of every sorrow there is some joy awaiting us. St. Paul assures us: “… suffering produces endurance, and endurance produces character, and character produces hope, and hope does not disappoint us” (Romans 3:3-5). (Fr. Bobby). 20) “But with a good ship, you can always ride it out.” Dr. Norman Vincent Peale once told of encountering a hurricane while on a cruise in the Atlantic. After the captain managed to sail around the danger, he and Dr. Peale were visiting with one another. The captain said he had always lived by a simple philosophy namely that if the sea is smooth, it will get rough; and if it is rough, it will get smooth. He added something worth remembering: “But with a good ship,” the Captain said, “you can always ride it out.” Our ship is our Faith in Christ. With a good ship, you can always ride it out. Life is unpredictable. God is with us. “But not a hair of your head will perish,” Jesus says, “By your endurance you will gain your souls” (Luke 21:18).